As part of a recent expansion in our Minneapolis office, we added a dedicated VR space! 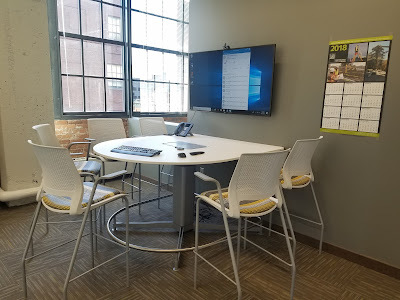 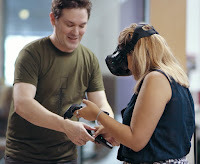 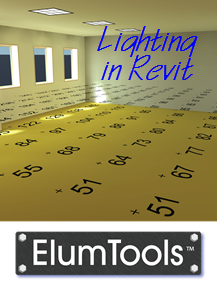 We had a nice large area previously, but it was shared and required a couple tables and chairs be moved... that old space can be seen in this Dell video: LHB visualizes architectural designs through virtual reality powered by Dell Precision. 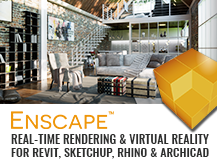 Dell Percision computer with an NVIDIA Quadro P5000 - using both Fuzor and Enscape. 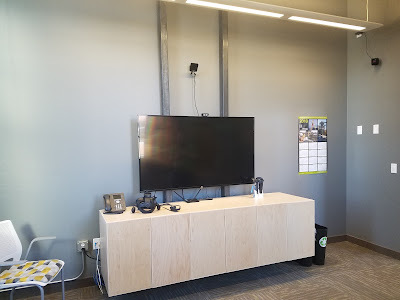 As seen in the images below, we have custom casework, a large flat screen and some 3d printed controller stands. 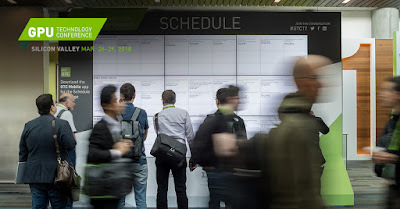 I will be speaking on all of this in more detail at the NVIDIA GPU Technology Conference, this March, in Silicon Valley! 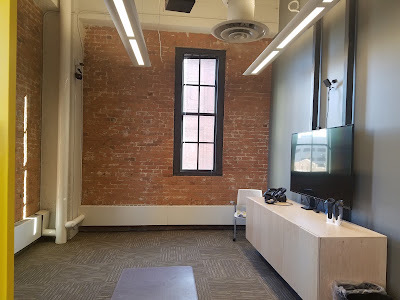 This has nothing to do with VR, but the next room over is a pretty sweet new collaboration space.